To mark its inaugural year, The Center for Spatial Research will present its work on "conflict urbanism" in Aleppo, and Colombia. The event will engage participants in a discussion about the role of conflict in structuring urban space and the politics of representation in zones of discordance, disruption and violence as it contributes to the making and remaking of cities. Friday, October 7, 2016 at 1:30pm in Ware Lounge, Avery Hall. The roundtable will feature Eyal Weizman, Professor of Spatial and Visual Cultures at Goldsmiths, University of London and Director of the Centre for Research Architecture and Enrico Bertini, Assistant Professor of Computer Science and Engineering at NYU Tandon School of Engineering as respondents to the work presented by CSR researchers and students: Laura Kurgan, Juan Francisco Saldarriaga, Grga Basic, Dare Brawley, Violet Whitney, and Michael Storm. The center point of Conflict Urbanism: Aleppo is an interactive web-based map representing the intensifying violence in urban Aleppo after five years of civil war in Syria. The map combines layers of high-resolution satellite images together with data gathered from multiple perspectives and sources to show the historic city from 2012 to the present. 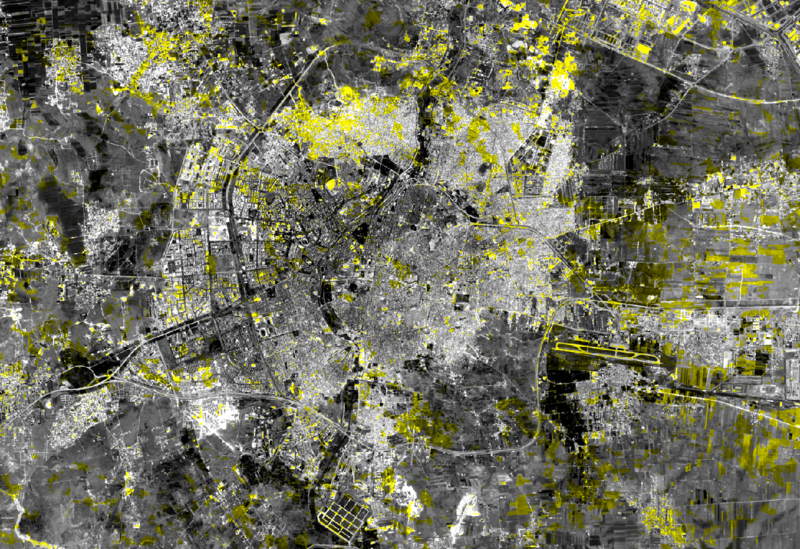 Using the logic of a typical geographic information system (GIS) map, the Conflict Urbanism: Aleppo project overlaps these layers, as it explores two kinds of evidence: evidence about the physical destruction of the city and evidence about how urban warfare is tracked and monitored from a distance. Conflict Urbanism: Colombia traces the trajectories of Colombians who were forcibly displaced between 1985 and 2016 as a result of the decades long conflict between state and non-state actors. The project visualizes conflict at the scale of the country through a single government-created dataset that will shape transitional justice efforts. The visualizations that have resulted reveal the paths of more than eight million people displaced by war while critically examining how this conflict has been recorded. Conflict Urbanism: Colombia is a collaboration with the Masters on Peacebuilding at Universidad de los Andes in Bogotá, Colombia.